Will you be out of town on September 27? ​Volunteers will be Needed to Put out Lawn Signs (below) a few days before the Vote. ​Community Center for Lifelong Learning! ​to Get Out the Vote! 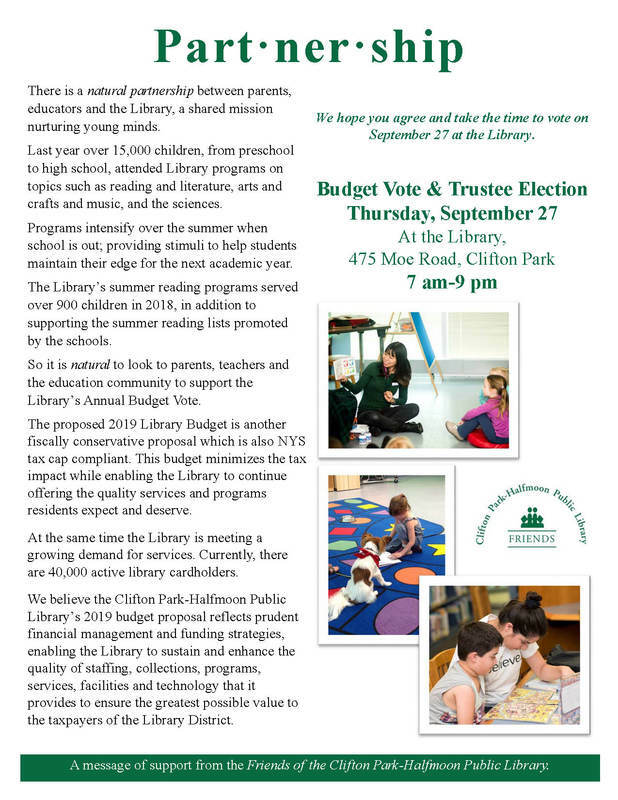 Each year the Friends of the Library campaign to bring the community out to vote for the library budget and the slate of candidates for Board of Trustees. 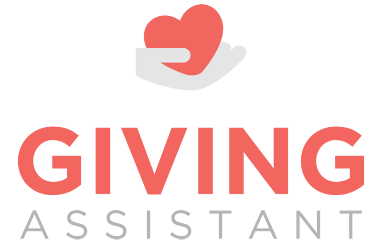 ​Volunteer opportunities begin in the spring and continue to the vote in September. Let us know if you wish to be involved in this important Friends outreach. 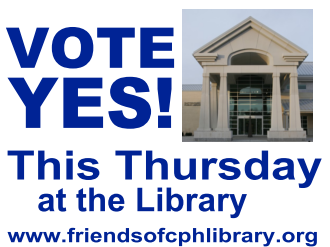 approved the proposed 2018 Library Budget by a vote of 634 to 103. 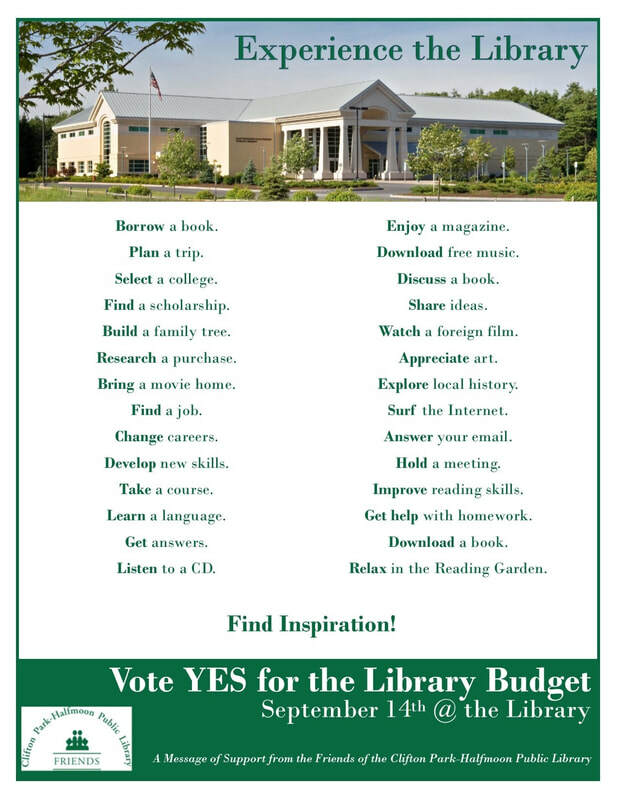 We're so Fortunate to have our Library!